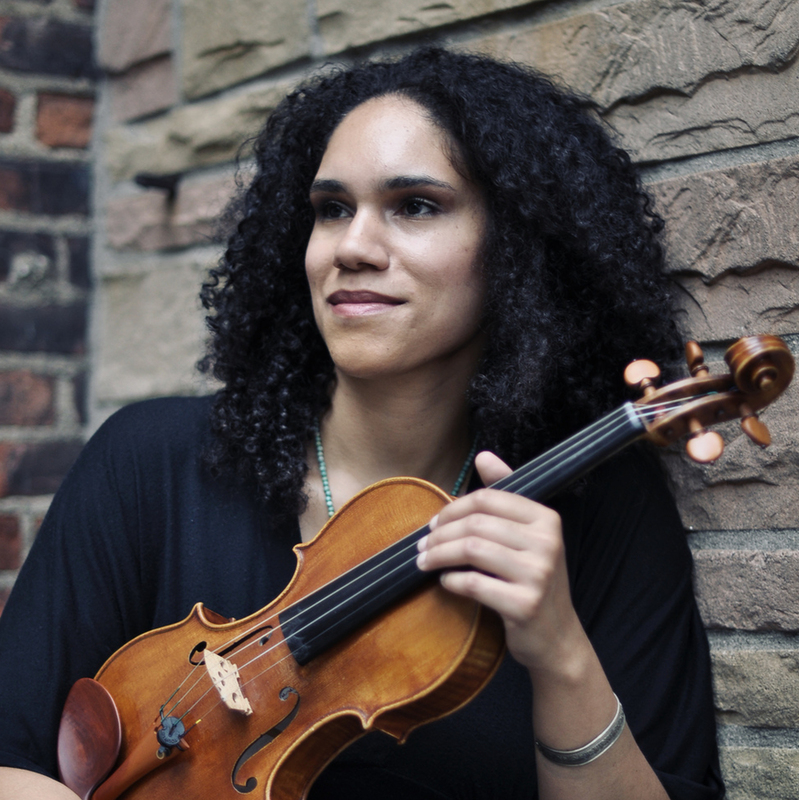 Jessie Montgomery is a New York native violinist, composer, and music educator. She is a co-founder of PUBLIQuartet, an ensemble of composers and arrangers playing their own music as well as that of emerging and established contemporary composers. Since 1999, Jessie has been affiliated with The Sphinx Organization, which supports the accomplishments of young African-American and Latino string players. Since 2012 Jessie has held a post as Composer-in-Residence with the Sphinx Virtuosi, a conductor-less string orchestra, has been a two-time laureate in the annual Sphinx Competion, and was awarded an MPower grant to assist in the development of her debut album, Strum: Music for Strings. As well as being a traditionally trained classical musician, Jessie has collaborated as an improviser with several avant-garde greats such as Don Byron, Butch Morris and William Parker. Jessie holds a Bachelor’s degree from The Juilliard School in violin performance and a Master’s Degree in composition and film scoring from New York University.